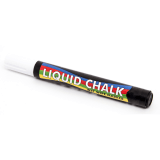 Liquid Chalk Pens are a fantastic alternatively to messy chalk sticks. 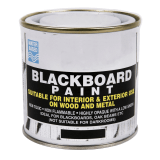 Available in a variety of earthy colours, you can create eye catching, effective and informative graphics for both your indoor and outdoor chalkboards. 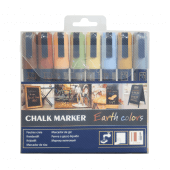 Are the Chalk Pens waterproof? 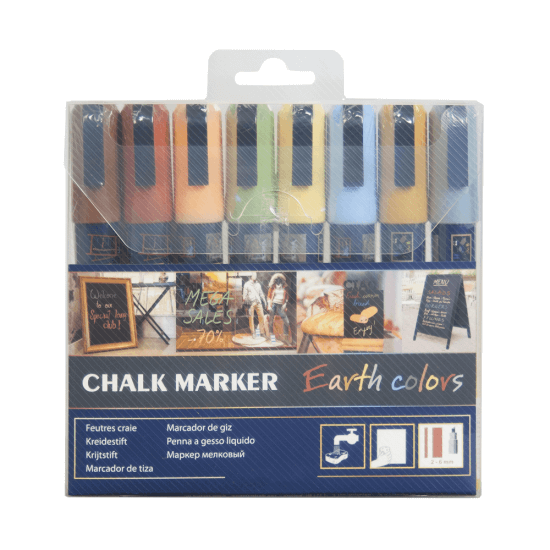 We recommend that our Chalk Pens are shower resistant, making them the perfect accessory for pavement signs or outdoor chalk boards. 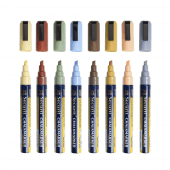 Depending on your brand, message or theme, you can choose from stylish silver or gold pens or more traditional earth colours such as red and blues. 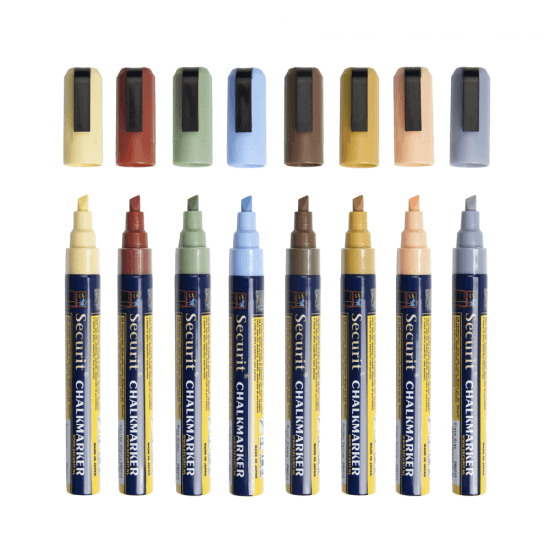 How do I clean the Liquid Chalk Pens off my board? 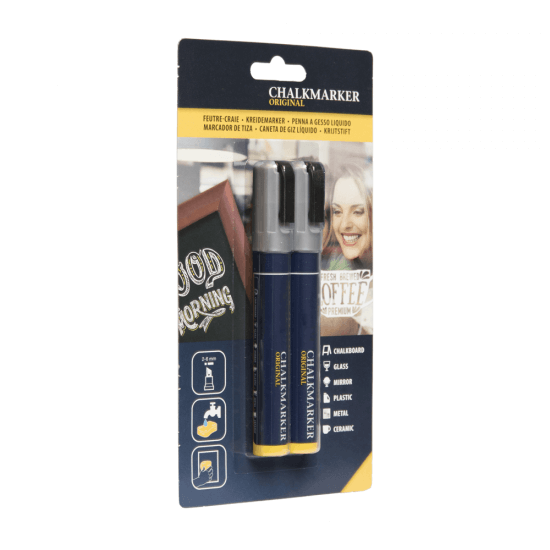 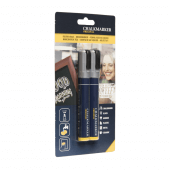 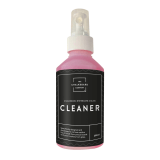 We recommend using our Chalk Board Eraser for quick and easy cleaning ready for your next update.